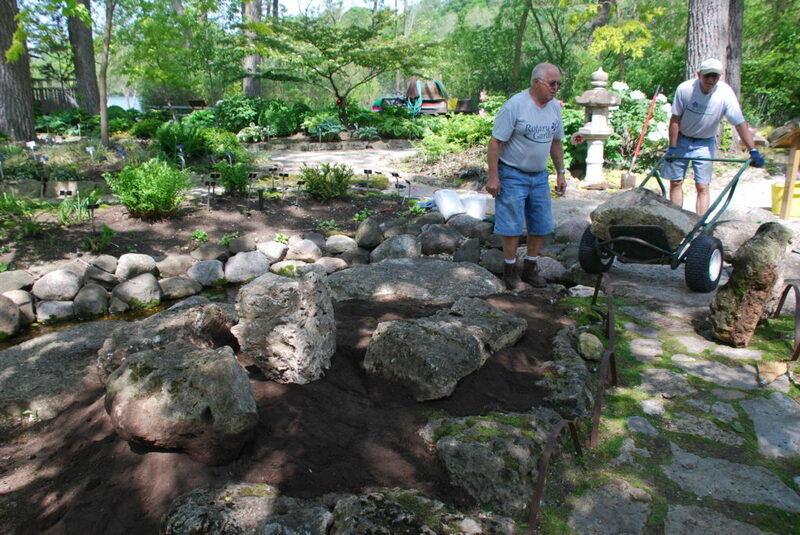 The first step was to raise the level of the gardens by adding loam soil. There were two reasons for that. First, a higher garden would be less subject to future flooding. 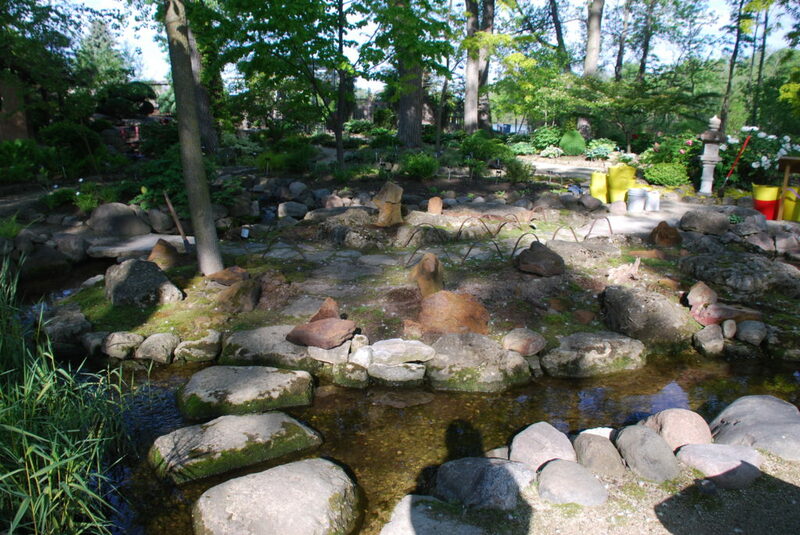 Second, it added relief to the area—meaning it added a third dimension (height), making the gardens more interesting and pleasing to observe. 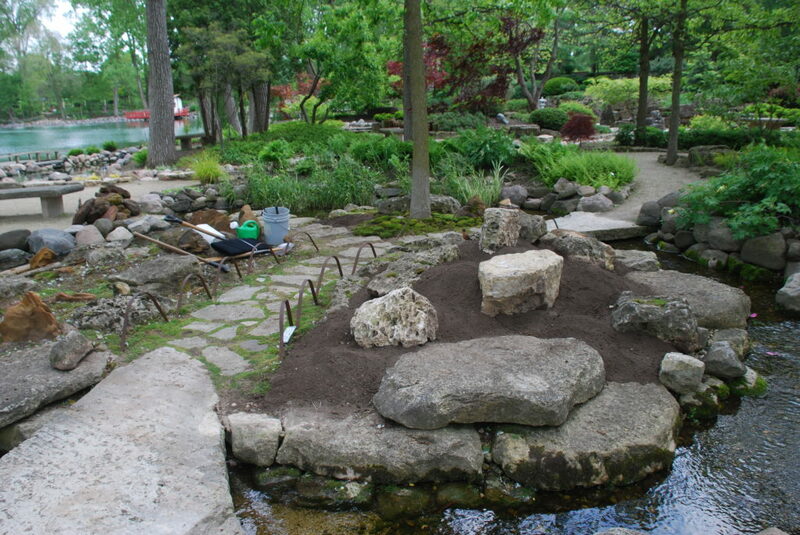 The first photo shows the gardens before any work, and the second shows the adding of the soil. 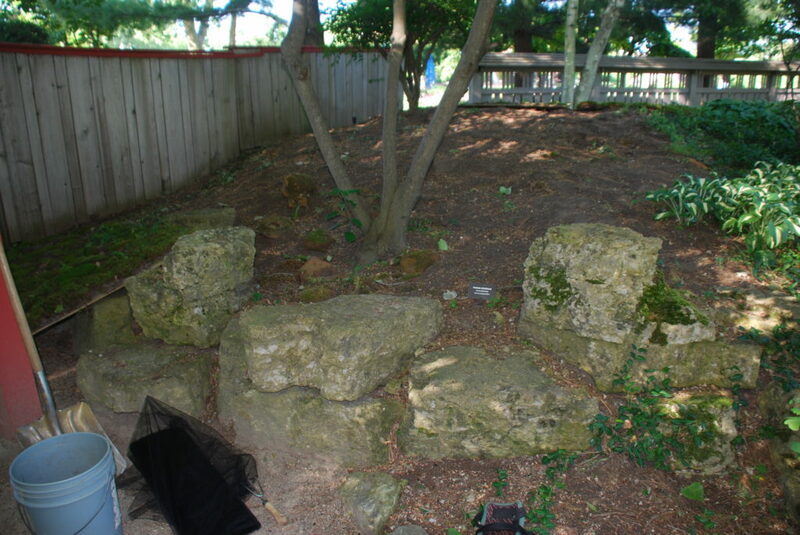 The second step was to remove many of the rocks that were there, leaving only the large limestone rocks (and some were added). That was done to simplify the scene, limiting the distraction of different colors and textures in the rocks. The final step was to install the moss. I collected the moss, most of it the species Anomodon rostratus, near my home in Waukesha County. I tried to get from a half inch to an inch of soil on which it grew. After placing the “sods” on the ground, I pushed it in by stepping on it. Finally, I watered it thoroughly. In two to three months, mosses extend root-like rhizoids into the soil. 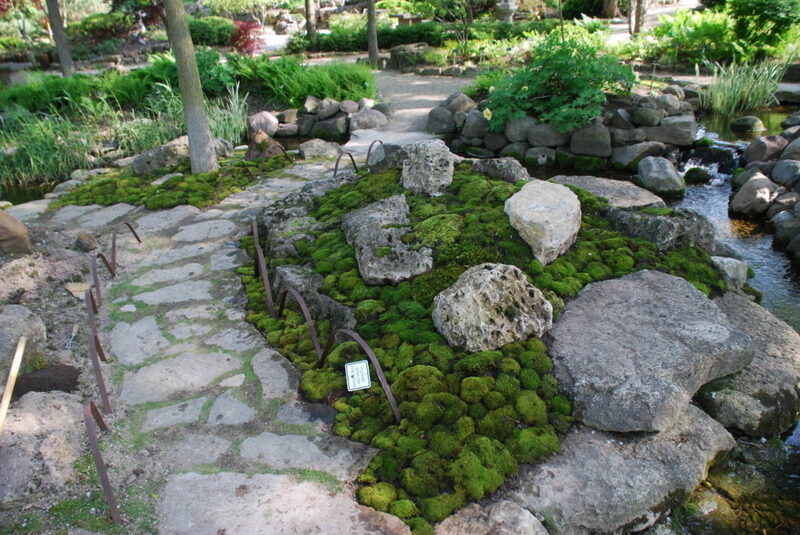 Rhizoids serve only to attach the moss to the soil. 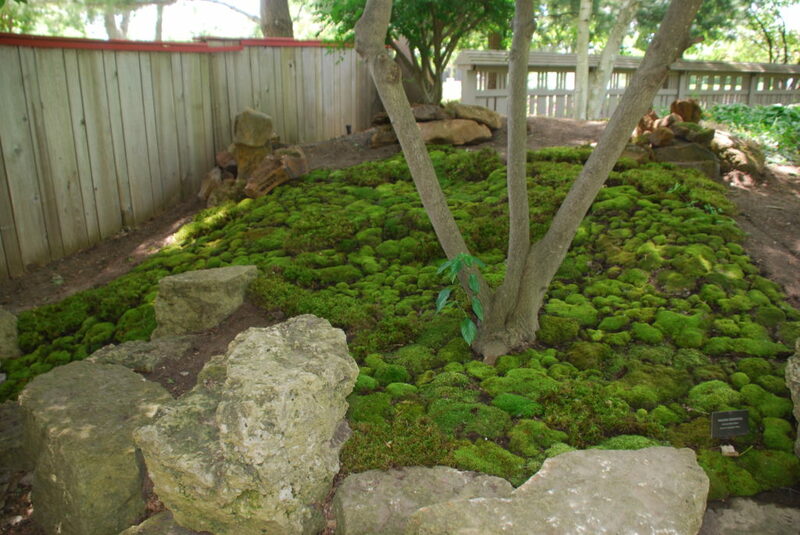 In two to three years, the spaces between the moss sods fill in with new growth, making for a solid appearance. 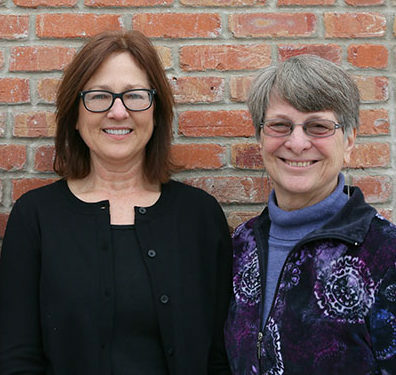 Dale Sievert is a retired instructor of economics at Milwaukee Area Technical College. 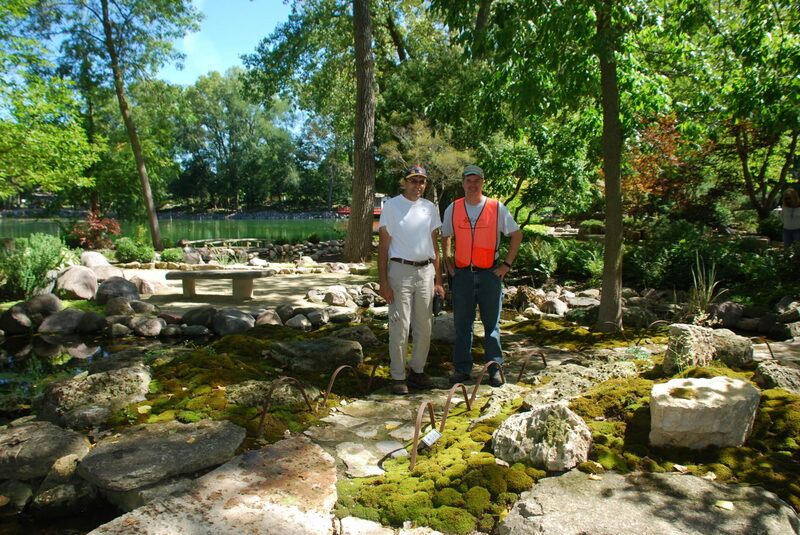 His one-acre property in Waukesha is an excellent example of how moss and shade tolerant plants can be creatively incorporated into the home garden. 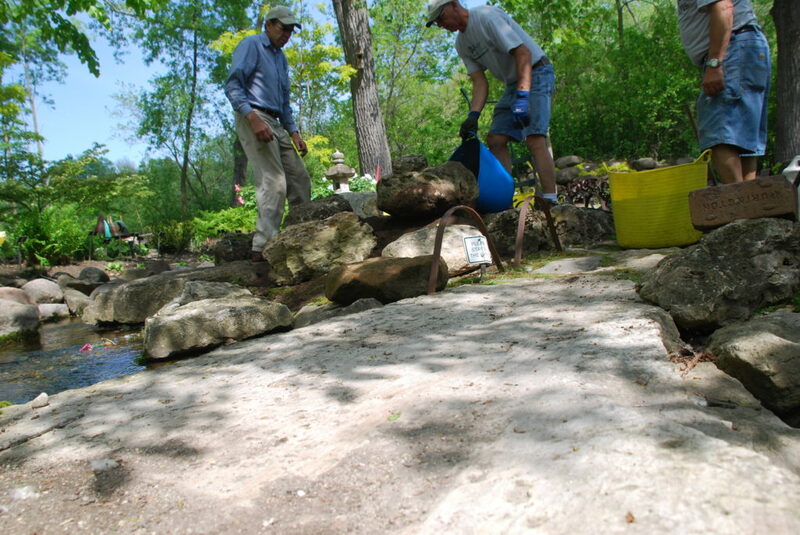 He has volunteered many hours at Rotary Botanical Gardens creating and maintaining the moss gardens. 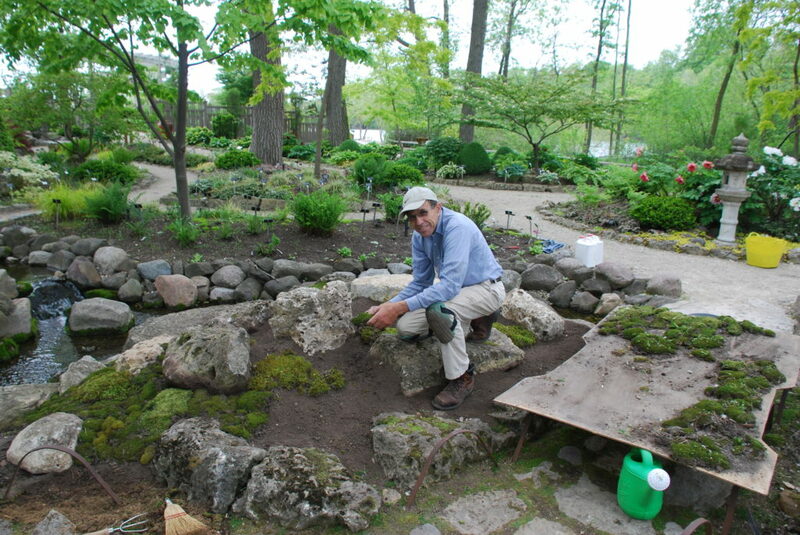 He also writes and lectures extensively about various gardening topics including moss and shade gardens.